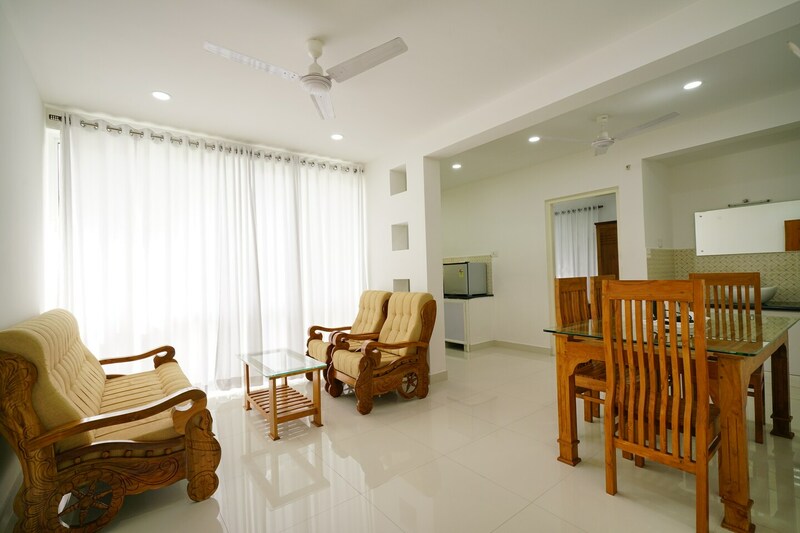 Catch all the action in Kochi while you enjoy a comfortable stay at the centrally located OYO 15660 Home Modern 1BHK Edapally. OYOs skilled and friendly staff is always on their toes to cater to all your requirements. Designed per the needs of a contemporary traveller, you can find all the amenities such as Reception, AC, Dining Area to your comfort. Explore the citys trail visiting its top attractions like Museum Of Kerala History, Thrikkakkara Vamana Moorthy Temple and Mangalavanam Bird Sanctuary. After a day full of sightseeing, relax in the restful ambience of OYO. In case you run out of cash midst your shopping spree, visit Indian Overseas Bank ATM, Syndicate Bank and United Bank of India ATM located nearby.